Home › Best-Sellers › 4Pk Buginator Fly Swatter Guns Insect Bug Pest Killer Spring Loaded Shot Shoo..
4Pk Buginator Fly Swatter Guns Insect Bug Pest Killer Spring Loaded Shot Shoo.. Warm weather brings backyard barbeques, beach trips, and....Bugs. 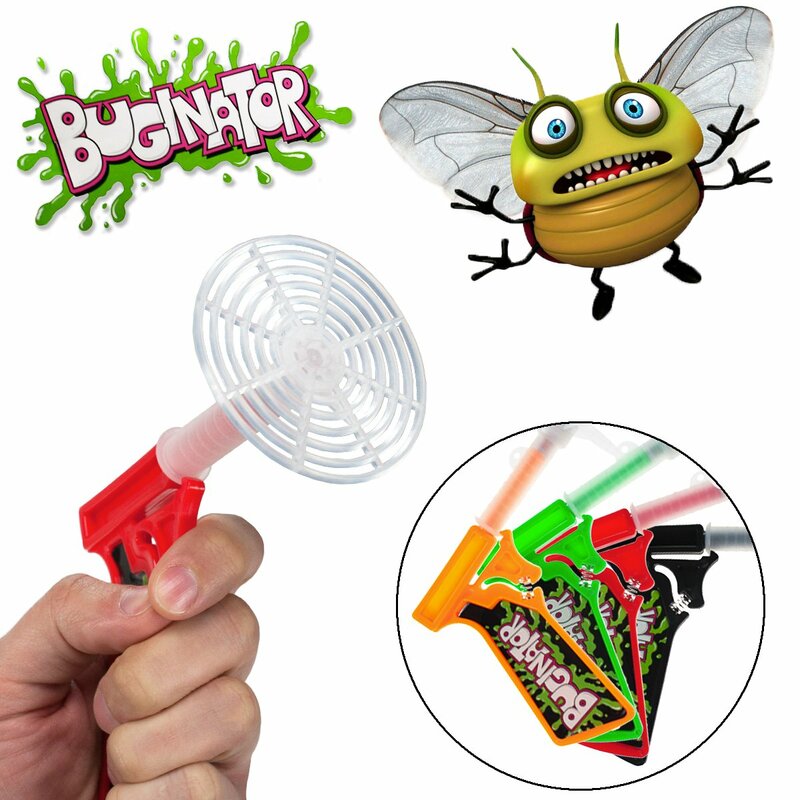 Don't go outthere unarmed- bring a Buginator! These straight-shootin' pest pistols cankill them faster than your old flyswatter. The spring-loaded trigger launchesa swatter disc, which can hit that fly on the wall, or even stun flyinginsects in midair. It takes aim, but it's fun to practice. Keep a Buginator byyour side, and put the kids on bug patrol. Those bad bugs will never know whathit them.